The February 2014 Ring the Bell Winner goes to someone who cares deeply about her customers, her employers, her fund sources, and our organization. Spokane and Stevens County DD/DVR Employment Specialist Gina Marie Young is long overdue for this one: high fives all around! 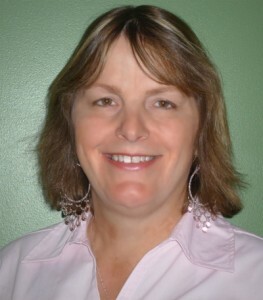 Gina began her work with us up in the Colville office. She left her mark on that team, and then joined the Spokane Team (Team Rhino) in October of our 2012 program year. Her devotion, dedication, and commitment, show in everything she does. It leads to quality outcomes. At the mid-year mark of the 2013 program year, Gina has four job placements including two carved positions for ISE customers. She ranks third in our entire division in total revenue, which includes services to customers in three different programs across Stevens and Spokane counties. The numbers alone don’t tell the story. Gina has had an impact at Career Path Services that cannot be overstated. The clients, families, employers, and fund sources she works with will tell you: she does what she says she’s going to do, never misses a care assessment, believes in our work, and works according to her beliefs. Hats off to Gina Marie. !